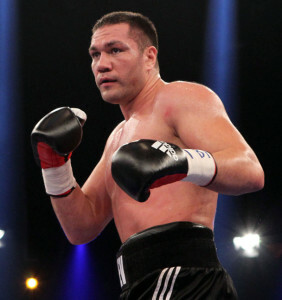 According to the Twitter flow from Kalle and Nisse Sauerland EBU heavyweight king Kubrat Pulev (23-1) will for the first time fight in his home country Bulgaria. When, where and against who is to be announced. German-based Nigerian middleweight Nuhu Lawal (22-0) take on Hungarian Istvan Szili (19-1-2) July 2 in Nuremberg for the vacant WBA Intercontinental title. Lawal have been flying under the radar a bit over the last few years fighting on small shows and winning minor titles but appears now ready to make a move for bigger things. The European Boxing Union, the EBU, is now 65 years old and is still going strong. Formally it's a non-profit organisation registred in Belgium with an office in Rome handling the EBU title and its subtitles but is much more than that and remain a kind of ABC in Europe but operationg with only a safety agreement signed by all members (but not respected by all). Last weekend in Brussels the annual General Assembly was held. Frenchman Cedric Vitu was named Fighter of the Year. Fight of the year was Tony Bellew vs Mateusz Masternak, OPI 2000, still with Salvatore Cherchi at the wheel, became Promoter of the Year and a special award was handed to EuroProm headed by Gerard Teysseron. The rule is one member for each country but the member may change as such is the case with Bosnia & Hercegovina where a new member now represent Bosnia & Hercegovina. The Luxembourg Federation, out in the cold since sanctioning the David Haye vs Dereck Chisora fight 2012 on British soil is now back as a full member – apparently with some new people on board. The German Federation BDB was named provisional member after the problematic issue of certain doping test was revealed but the BDB is now back as full member. Latvia remains a provisional member after some dubious shows and a big internal split in the federation. Malta, represented by the Malta Boxing Association, was named full member and will stage the 2017 General Assembly but the tiny island / country is also the home of the other federations.